KU Orlando Professor Stéfane Dias, Ph.D., was recently honored for his contributions to the growth and strengthening of sports in the state of Paraná in Brazil. 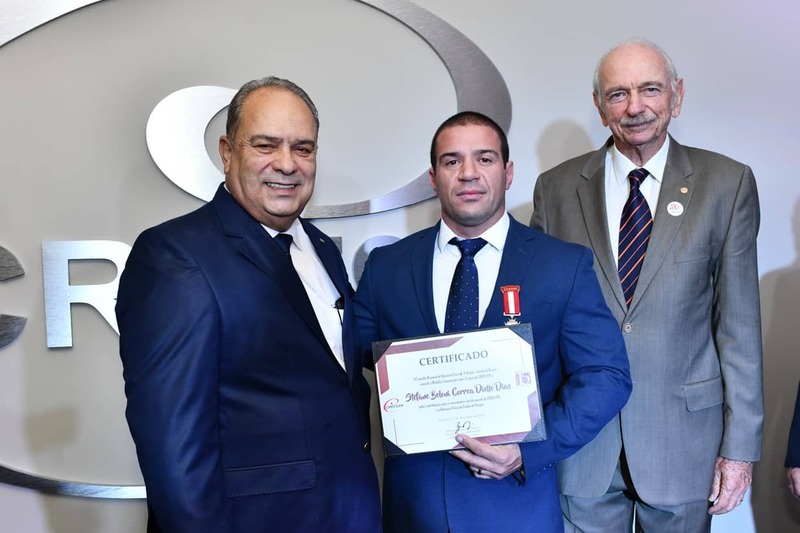 Antônio Eduardo Branco, president of Regional Physical Education Council of the 9th Region – State of Paraná (CREF9 / PR) presented the 15-Year Commemorative Medal of the Council to five individuals, including Professor Dias. The award was presented during the opening ceremony for the council’s new headquarters. The new 6-story headquarters in downtown Curitiba was built under Leadership in Energy and Environmental Design (LEED) and is the first eco-building for a professional council in that country. The same weekend in late December, Professor Dias joined other well-known names in Physical Education for a seminar in Curitiba. 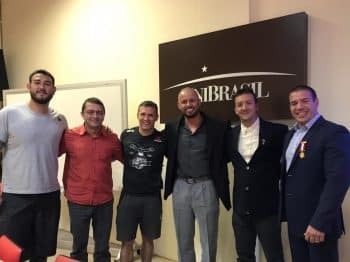 Many trainers and athletes attended the event held at UNIBRASIL in conjunction with CREF-PR, where they learned about both the theory and practical side of physical training. The seminar also featured two round tables discussions various aspects of athlete preparation with commentary from UFC Heavyweight Fighter Augusto Sakai. 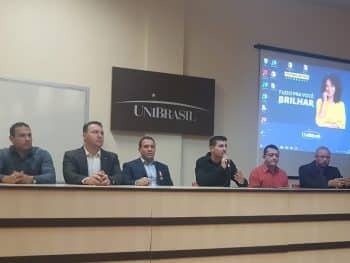 Other attendees included: Dr. Julimar L. Pereira; André Brauer, PhD; Carlos Alves, a professor and coach of UFC athletes; and, the president of the Regional Council of Physical Education of the State of Paraná (CREF-PR).